China Holidays Blog: Are You a Lucky Person? Numbers are a very important part of these superstitions. The value of goods with numbers in them – house numbers, phone numbers, website addresses – can be affected by superstitions to a surprising degree. 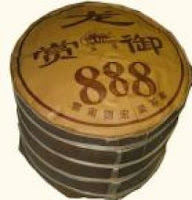 The number eight (ba 八) is considered especially lucky as it has the same pronunciation as the Chinese word for wealth or fortune. So if you buy a mobile SIM card in China, expect to pay considerably more if your new phone number has lots of eights in it! Popular casinos or gambling websites often use eight in their name. 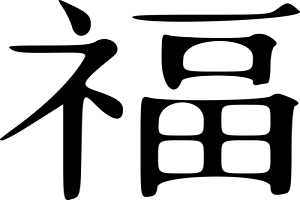 On the other hand phone numbers with lots of fours in them (si 四), may be a lot cheaper to buy, as the similar word si 死 means death. Often buildings are missing a 4th and a 14th floor – the lift would take you straight from floor 13 to 18. Visitors to China, especially around Chinese New Year, are frequently struck by how red it is. Red on the doorways and banners, and on people’s clothes. Red is another symbol of good luck, and ‘lucky money’ , if given as a gift at weddings, birthdays, New Year, will always be given in tiny red envelopes. At Chinese New Year, unlike Westerners with their frantic Christmas decorating, Chinese are forbidden to sweep or clean, as that would mean cleaning all the luck out. Some symbols are easier to understand. On your birthday it is traditional to eat ‘long-life noodles’, and you must slurp them into your mouth whole without breaking them (or risk shortening your life-span). If you are careful, and follow all the guidelines, set down by so many previous generations of Chinese ancestors, your life too may be happy, long and prosperous.